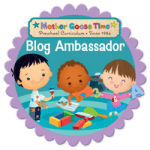 You are here: Home / Preschool / Mother Goose Time / Manipulatives Monday Give-Away with Mother Goose Time! 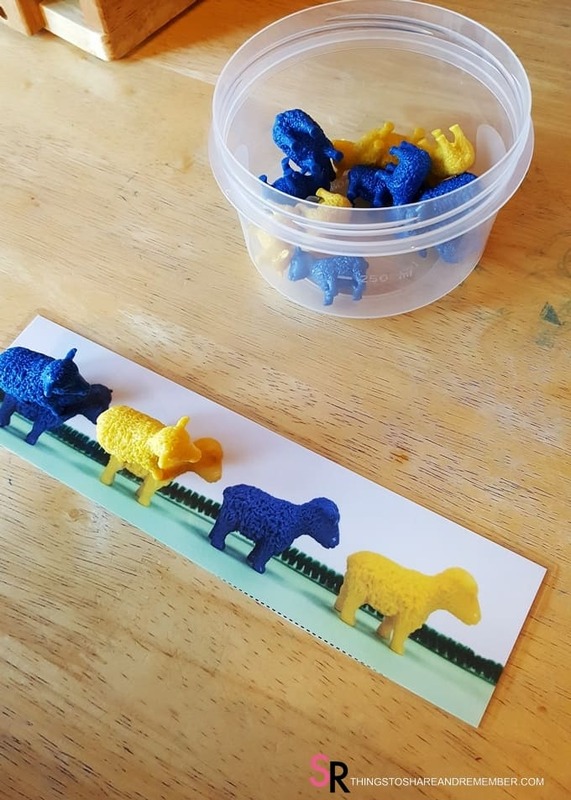 Manipulatives Monday Give-Away with Mother Goose Time! Happy Monday! 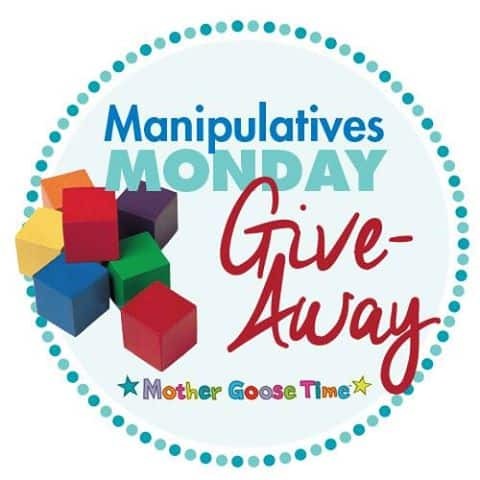 Let’s make Monday even better with Manipulatives Monday Give-Away with Mother Goose Time! See below for details on how to enter the give-away. 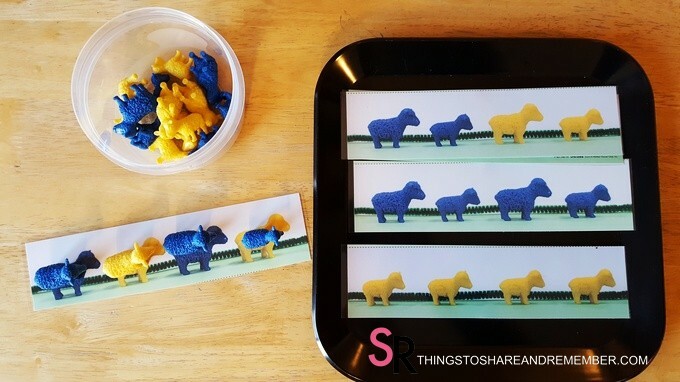 This post features this month’s manipulatives from the Mother Goose Time Nursery Rhymes kit. 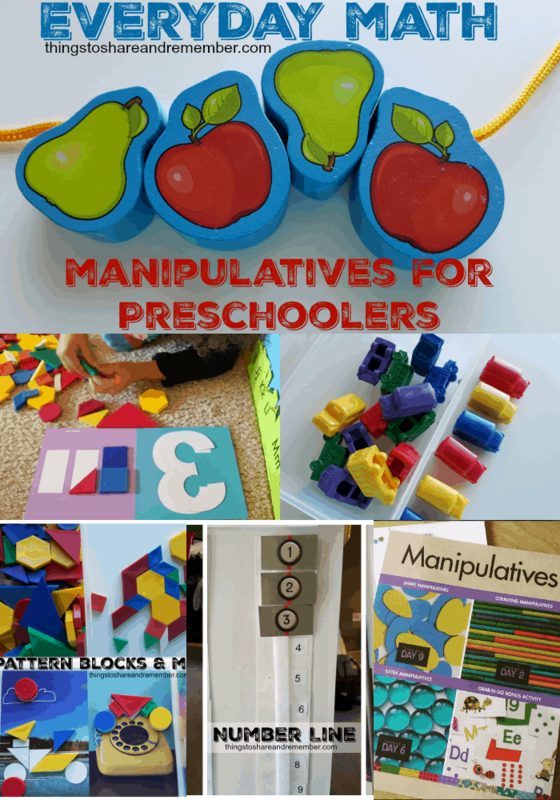 We have collected many, many manipulatives over the years that continue to be used on a daily basis for play and math activities. 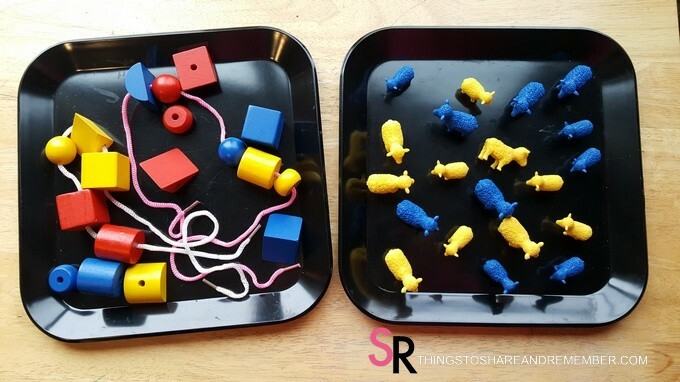 Basically, they are little toys that can be used for sorting, counting, patterning, grouping, stacking, adding, subtracting, matching, pouring and scooping, in sensory play, and SO MUCH MORE! 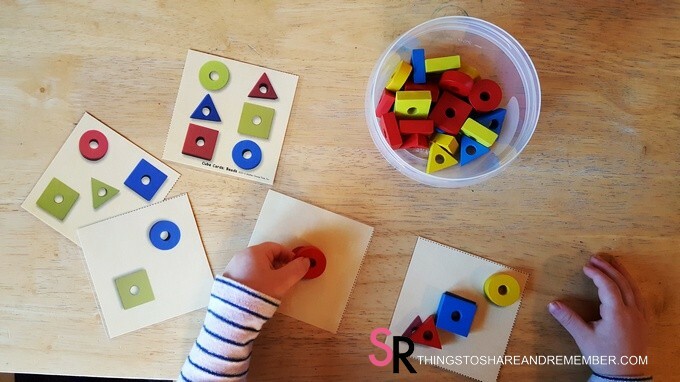 Mother Goose Time often includes wonderful activities cards and mats to use with the manipulatives that coordinate with their themes. 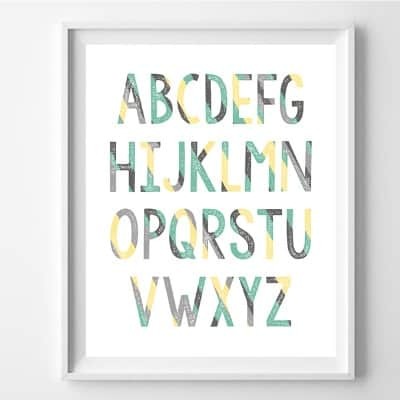 They work very well in centers and with mixed age groups. This set focuses on shapes and color matching. It goes along with the nursery rhyme The Itsy Bitsy Spider. 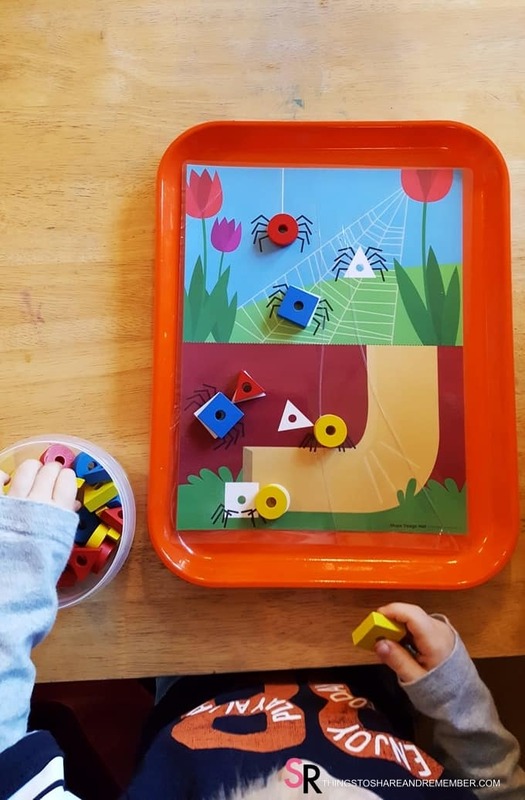 Sometimes the manipulatives are small so supervise play and keep them out of reach of infants or toddlers who are more likely to put toys in their mouths. 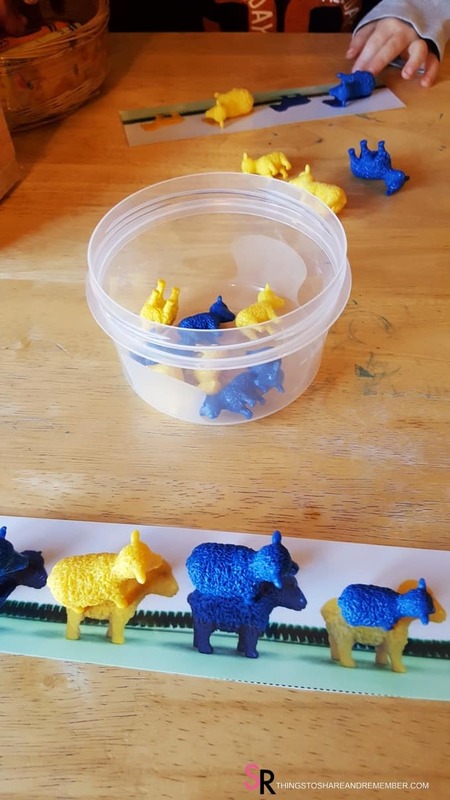 It is a good practice to keep small manipulatives in containers with turn-on lids so they are more difficult for young children to open. When they ask for assistance, you can supervise their play. This also prevents a lot of dumping. 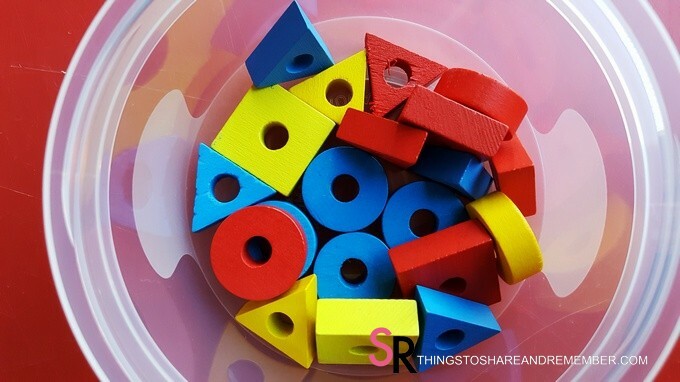 When children play with manipulatives, you can observe their skill levels. This two-year-old said, “Where does the square go?” telling me she knows the shape she is holding is a square. 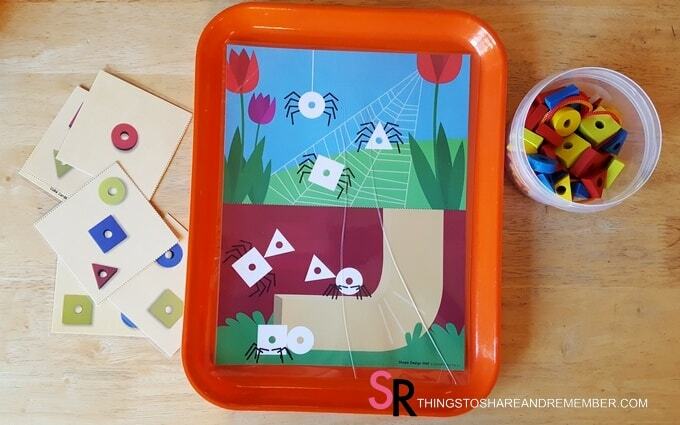 Mother Goose Time activity card images are true to size so the manipulatives fit right on the pictures. 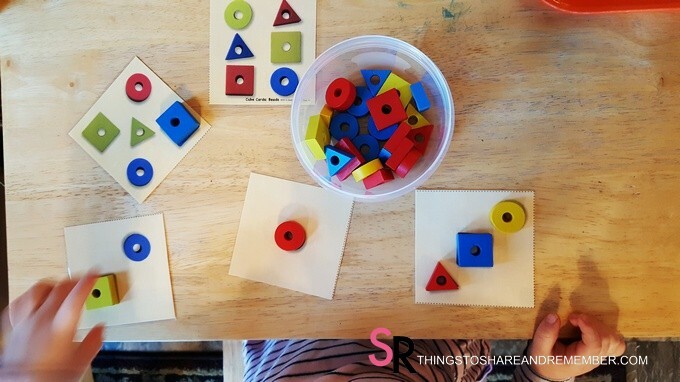 Otherwise, the child could arrange the shapes next to the cards in the same design or order. Manipulatives make learning hands-on and fun. Children are drawn to play and learn with a variety of materials. Trays contain the materials and define each child’s space. You want some manipulatives, right? Continue on to the Manipulative Monday Give-Away entry form below. 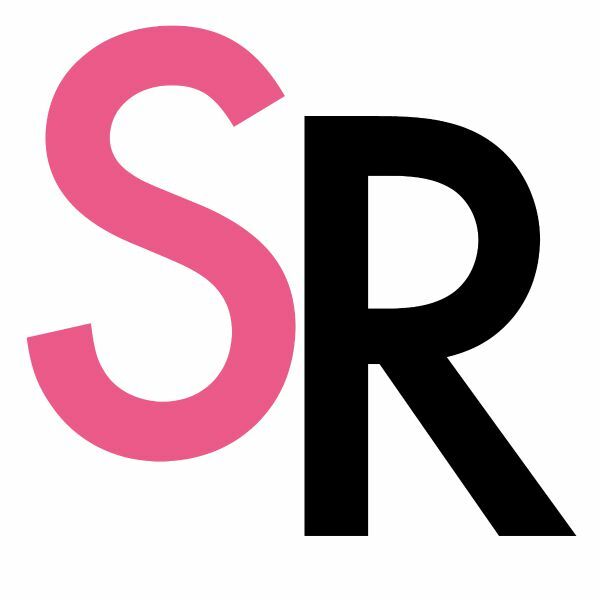 WIN TWO SURPRISE PACKS OF MANIPULATIVES! This giveaway will be open from 2/13/17- 2/20/17. Winner will be contacted via email. Please reply with 48 hours or a new winner will be selected. 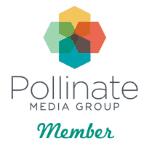 Winner’s mailing address required. Prizes will be fulfilled by Mother Goose Time. Must be 18 years or older to enter to win, and a resident of the USA. Void where prohibited by law. 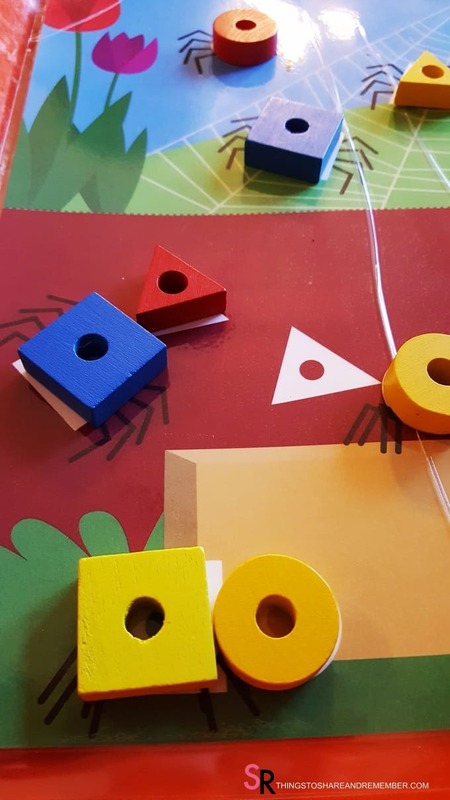 CLICK HERE TO VISIT MORE MONDAY MANIPULATIVES GIVE-AWAYS! Thanks for the chance. These look great!